Matthew Morrison Hosts New PBS Special, "Oscar Hammerstein II: OUT OF MY DREAMS." Matthew Morrison, acclaimed star of stage (SOUTH PACIFIC, THE LIGHT IN THE PIAZZA) and screen (GLEE) will host a brand-new PBS special celebrating one of America's greatest theatrical geniuses. Matthew Morrison, host of the upcoming PBS special, OSCAR HAMMERSTEIN II -- OUT OF MY DREAMS, on the stage of the Wilshire Ebell Theater of Los Angeles. Photo Courtesy of Young Productions. OSCAR HAMMERSTEIN II: OUT OF MY DREAMS is a celebration of the most acclaimed lyricist and librettist of the 20th century, the man who worked in the theater for over 40 years, writing the lyrics for over a thousand songs and the libretti for dozens of operettas, and musicals performed on Broadway, in London and in Hollywood films. His legendary works include ROSE-MARIE (1924), SHOW BOAT (1927), OKLAHOMA! (1943), CAROUSEL (1945), SOUTH PACIFIC (1949), THE KING AND I (1951) and THE SOUND OF MUSIC (1959). 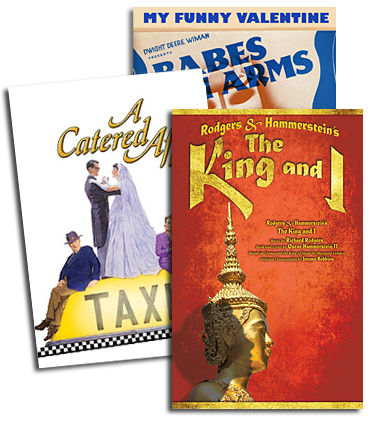 Brimming over with movie clips from his greatest musicals, this new PBS special features interviews with Stephen Sondheim, Harold Prince, Shirley Jones, Mitzi Gaynor, Hammerstein family members and others. OUT OF MY DREAMS will air on PBS stations nationwide in March; check local listings for further details. 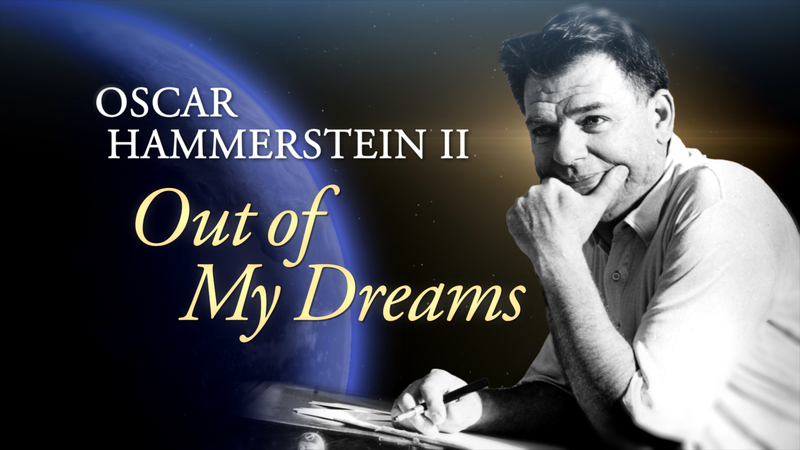 OSCAR HAMMERSTEIN II: OUT OF MY DREAMS includes segments from five of the timeless, ever-popular Rodgers & Hammerstein films, including iconic scenes from OKLAHOMA!, CAROUSEL, SOUTH PACIFIC, THE KING AND I and the most popular movie musical of all time, THE SOUND OF MUSIC. Also featured are songs and scenes from among the several movie versions of SHOW BOAT, as well as a clip from the rarely seen film, Lady Be Good, with Ann Sothern singing "The Last Time I Saw Paris," written by Oscar Hammerstein II on the day Paris fell to Nazi Germany. Set to music by Jerome Kern, it won the Academy Award as Best Song in 1941. While footage of Oscar Hammerstein II is rare, he is seen and heard in excerpts from a 1958 television interview with CBS News’ Mike Wallace, as well as recorded comments from conversations with contemporary journalists Arnold Michaelis and Tony Thomas. Stephen Sondheim, mentored by Hammerstein starting in his teen years, is also interviewed and discusses the lessons he learned from the man he considers a theatrical revolutionary and both an artistic and a surrogate father. Also interviewed are: Broadway director Harold Prince; Shirley Jones (star of the film versions of OKLAHOMA! and CAROUSEL); Mitzi Gaynor (star of the film version of SOUTH PACIFIC); Tony winning playwright/lyricist Joe DiPietro (himself mentored by Hammerstein’s son James); Ted Chapin, President of Rodgers & Hammerstein: An Imagem Company; biographer Hugh Fordin; and Hammerstein family members, including his daughter, Alice Hammerstein Mathias; grandchildren, Oscar Andrew Hammerstein, Melinda Walsh, and Peter Mathias; and his stepdaughter, Susan Blanchard. Seen in archival interviews are Hammerstein’s late wife, Dorothy, and their late son, James. This program also celebrates Hammerstein's extraordinary work as a humanitarian and political activist, a part of his life that is not as well known as his artistic achievements. From the beginning of his career to the end, he used his creative talents to raise the social consciousness of audiences all over the world. SHOW BOAT – to a degree unprecedented in the musical theater of its time – took an unflinching look at racial oppression in the post-Reconstruction South, and SOUTH PACIFIC (with its controversial stance on prejudice, expressed in the song “You’ve Got To Be Carefully Taught”) took a bold stand on the issue of civil rights.